Jeroen van Meeuwen had some harsh criticism on the way KDE handles Q&A with Bugzilla. He has taken on bugzilla maintainership after someone told him there was no 'single throat to choke', and started to investigate the current state and how it is used by KDE. He presents his findings and suggestions on improvements. There's no defined process - and that shows. Bugs linger around forever. There are bugs from 2002 which have not been asigned to anyone or confirmed in any way. 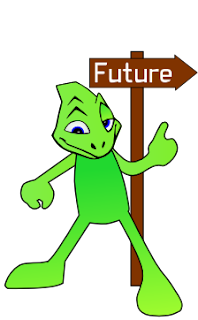 Worse, the 'final' state we use in KDE, 'resolved', is not, and should not be, the final state of a bug! 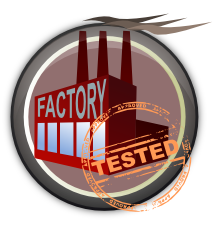 After fixing a bug, there is testing, confirming and releasing still to do before the bug should be allowed to fall off our radar. Due to Bugzilla not working as it should, we work with other tools to keep a list of what to do. Reviewboard is an example and many developers have their own list. All that while Bugzilla is more than capable of doing this! Jeroen talked about how we, as a community, should try to adapt a new process with bugzilla. For that, our setup needs some improvements and he's offering to work on those. Specifics include having proper types, a 'CLOSED' state and cleaning up products. An example of the latter is that there are two products for 'KMail': 'kmail' and 'kmail2'. Both are open for bug submissions - and there are lots of bugs coming in for the 'old' kmail, adding to the almost 3000 open bugs. However, the developers don't work on kmail anymore: they have all moved to kmail2. How to solve this? Resolve the current unresolved tickets and tell users to move to kmail2. Then close kmail and then move kmail2 to kmail. Jeroen explained how we can use tools like jared and jenkins to automatically run tests, check if things compile for a certain branch and things like that. How we need to differentiate between Q&A, Triaging, Development and release engineering. have to contact project developers and ask them what they do with the tickets, then adopt the tickets and setup to that reality. Jeroen realizes he's new to KDE and that he's not the only one who (thinks he) is an expert. Also, KDE works on consensus - so it'll take effort and discussions to get a new way of working in. 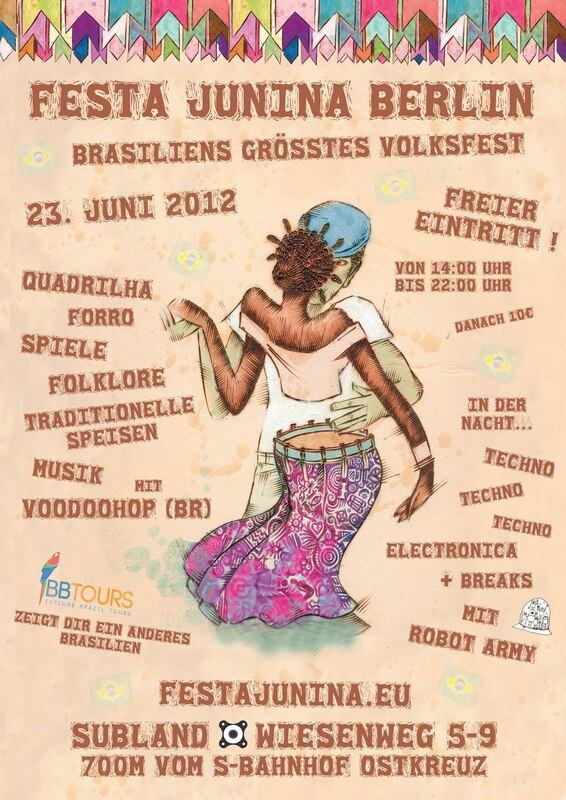 There'll be a BOF about QA and triaging on Monday so if you're interested, look at the BoF schedule. A big take-away from me is that this should actually make development easier, more focussed and more fun - it's not about creating a lot of process to bother developers. Lennart "I'm Awesome" Poettering just told us there's Festa Junina going on in Berlin tomorrow. I plan to go there and be back around 5-ish (when the BetaPizzaThing at my place starts). So if you live in Berlin you're at Ostkreuz around 14:00 and at my place at 17:00 - that's 2 stops with the S-Bahn, to Storkower Strasse, then a short walk to the Eldenaerstrasse: left out the station (seen from the direction you just came, the side of Kaufland); walk to Sconto and go past it, cross then follow the road with a turn to the right. At the next lights you see my walk-in fridge (night shop) and above that I live, nr 28. Hit the bell and I'll let you in (if you know the secret password of course). Consensus seems to be that a longer release cycle is a good idea but nothing concrete has been proposed. Coolo will probably simply make a 12.3 proposal for say November 2013. Some numbers where brought up that show that we can indeed use a longer stabilization period for our releases. 'Release when ready' is also still on the table. 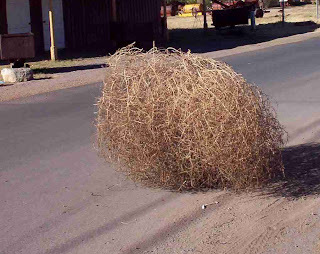 If a longer release cycle is introduced, Tumbleweed becomes more important, but so do the other OBS projects. Users will depend on OBS far more to get new packages. What effect this has and how to tackle that has not been discussed yet. On a personal note, I think the new software.opensuse.org will need some improvements in case we go this route. It would have to put more emphasize on the devel projects as 'official' sources of software. Right now, there are roadblocks put in place for users who want 'stuff from OBS' and it's made clear that things from there are untested and possibly unstable. Be stricter about maintainership - have 2-3 maintainers who really are responsible. There is some unclarity between the roles of bugowner and maintainer. OBS currently adds the role of maintainer to everyone in a project, which is deemed a bit overzealous - a package can that way end up with 20 maintainers but only 1-2 of these might dare to touch it. Not clear where to go with this yet. Do more checks on packages like rebuilding dependencies to see if they fail. Heavily depends on available build capacity (currently very limited). While it requires more work to get something in Factory, as Karl Eichwalder said: "your fun must not prevent the others from having fun." process of getting packages in factory might need changes. For less core packages, we could possibly skip devel projects, provided there is review done on the packages. 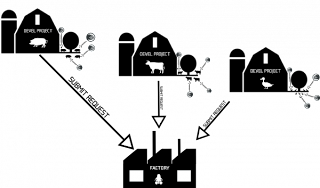 We might also expand devel projects for the remaining packages to do more testing. we could either have one or multiple staging projects. With one, all eyes would be on the same, but it would have the same breakage issues as Factory. Advantage is that we can have an automatic revert policy where packages can't get in Factory until all breakage in Staging is fixed. It would require OBS to automatically detect build errors due to changes in a given package. We're unsure if that is possible. Another way would be to try and get Staging stable, once everything is green - move to Factory. Get new packages, stabilize again, move to factory. Etcetera. Having multiple staging's in parallel might help to lower the 'latency' of getting packages in Factory but it would cost build resources. This discussion is also still ongoing. It was brought up that it'd be possible to create a 'core' of base openSUSE packages (roughly up to X.org) which would be 'atomically updated' for the rest of the packages on top, decreasing breakage and allowing easier testing. This could even be part of a release scheme with a 'core openSUSE' and peripheral packages in Tumbleweed and OBS. It would require some work on the software.openSUSE.org search UI and software management in general, however. Several people brought up the social side of things. As Coolo already mentioned in his initial email, we'd need more people fixing problems 'all over'. These will need mentoring - something openSUSE currently doesn't do in a structured manner, except in the context of Google Summer of Code. Aside from mentoring, there should be more clarity about responsibilities. If a new version of a library breaks things, who should fix this? The person who maintains the library or the applications which are broken by it? These questions are unanswered as well and possibly a one-size-fits-all answer doesn't exist. Last but not least, development is helped by a positive, constructive atmosphere on the list. The openSUSE Board has been spending some efforts in improving the situation on our lists and with some success. But more would be needed and how to do this is still unclear. It is most certainly not clear where exactly we will end up. Of course, we're only 6 days since the announcement by Coolo that he thinks things have to change. Much of the discussions does point to interesting solutions, but we have to come to definite conclusions before anything can be done. And then, we need people to commit to executing some of the changes! The openSUSE Conference (Prague, October)will be a good place where we can finalize these conclusions and start implementing things. If you're in the Americas, the openSUSE Summit in Orlando in September might be more convenient for you... In both cases, if you have an interest in the future of openSUSE you should make sure to be there! 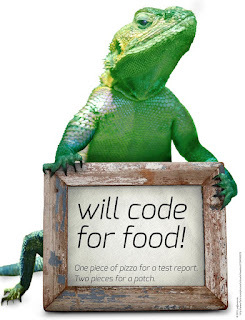 For those organizing something for the openSUSE 12.2 Beta Pizza testing, there is a nice poster you can use! Made by Jürgen Weigert with some help from fellow Geeko's in the NUE office, the source is in Github and you can use it for your own Pizza and Beta event! click here to go to our artwork github repo. COSCUP is Taiwan's biggest FOSS tech event, full of exciting technology and great people. 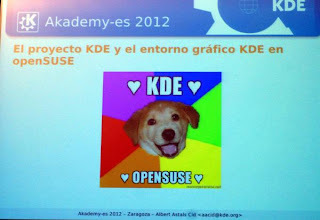 As you might know, this year COSCUP will feature a special track dedicated to KDE and openSUSE! The call for papers for this Feature track at COSCUP will close in just a few days - June 15 to be exact. So you have to hurry up sending in your proposal - there's a huge audience waiting for your input! We're still very much looking for subjects including localization and local FOSS community work, packaging and distribution technology, desktop technologies and development, cross-project collaboration and cloud computing tech. Note that despite the long tradition of close collaboration between KDE and openSUSE, both communities welcome talks not directly related to either of those. KDE on other Linux distributions or non-KDE desktop technologies on openSUSE are very much encouraged to send in proposals too! Again, the call for papers ends on June 15. Please email a proposal of about 200 words, accompanied by a ~50 word biography, in either English or Chinese, to the Program Committee before that date.